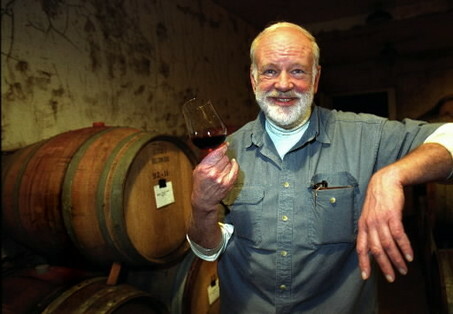 Great photo here of the late David Lett, Oregon wine pioneer. One of Oregon’s historic wineries, The Eyrie Vineyards was planted to 60 acres in five different vineyards in the Dundee Hills AVA of the Willamette Valley. David Lett is known for making the first Pinot Gris wines in North America. In 1965 he and his wife left California for Oregon and he began making wines I970. Lett sadly passed away in 2008 and his son, Jason, serves as head winemaker for the winery. The tasting room boasts many very cool older wines that they have cellared remarkably from the 1980s and 90s. They have been on a huge run of successful vintages and this years releases are no exception. Jason’s current releases were fantastic across the board. One of the best Pinot Gris bottlings that you will find in North America is the absolutely stunning 2015 The Eyrie Vineyards ‘Original Vines’ Pinot Gris (WWB, 93) which is showing marvelously right now. This can’t miss effort is truly one of the best of its kind. Their new Pinot Noir release, the 2015 The Eyrie Vineyards ‘Original Vines’ Pinot Noir (WWB, 92) has marvelous weight and tension which makes it nearly impossible to resist right now. Learn more about this fantastic and historic winery and their wines at http://www.eyrievineyards.com Here are the outstanding wines by The Eyrie Vineyards.